Ever since Gryffon Ridge Spice Merchants came to Portland at the Winter Market, everyone's been abuzz about these purveyors of spice. Roomie A. 's mom so generously bought us their Persian custom spice blend and Ras el Hanout and told us to experiment. M. made bread with the Persian spice blend, and we rolled donuts in it, mixed with some sugar (more on that to come). But the Ras el Hanout? We were kinda stumped. Until Roomie A. sent me this recipe: Lamb Tagine with Green Olives. 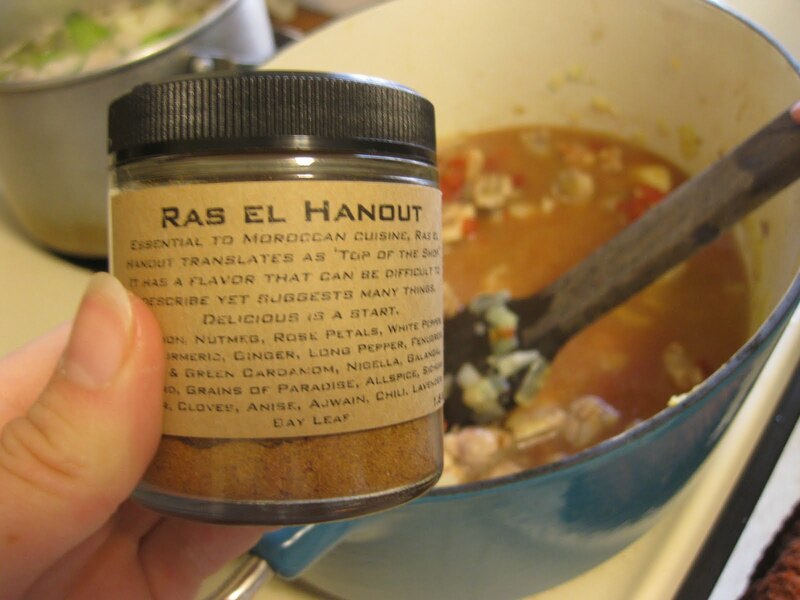 And we knew we had to make it because of this line in the intro: If you can get your hands on ras el hanout, you can use it instead of making the spice mixture. Perfect. All of this led to A. and me chanting Ras! el! Hanout! a lot while we made dinner. 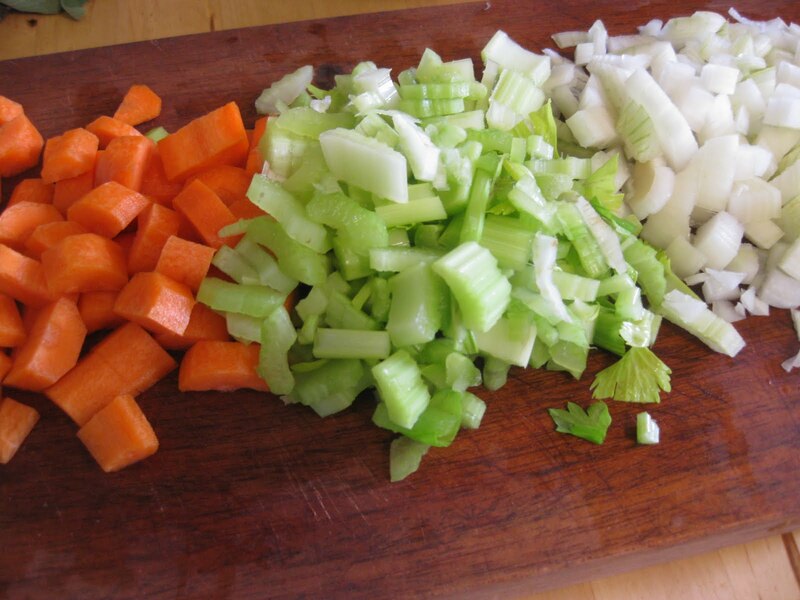 As a rather timely addition, Bittman wrote about a weeknight tagine on his blog. 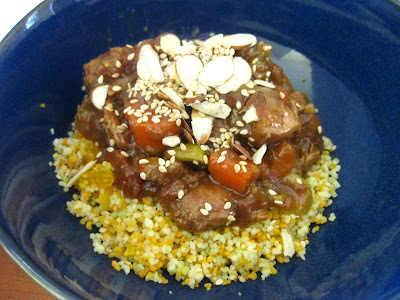 We decided to mash the two recipes together and use chicken thighs and couscous instead of lamb and rice, respectively. We started by searing the deboned and chopped chicken meat in a large dutch oven with about 3 tablespoons of olive oil. 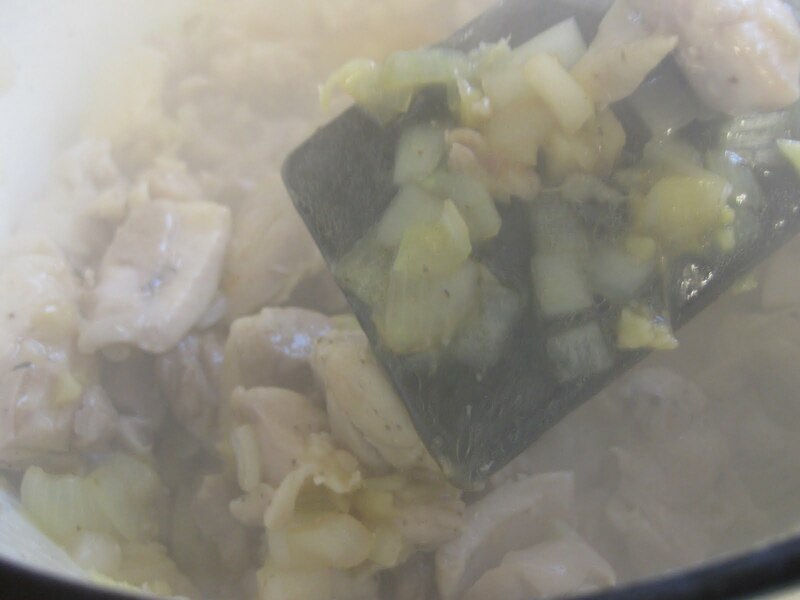 After the chicken had 'browned' (more browning would have occurred if we'd used lamb), we removed the meat and set it aside in a small bowl. Then we added diced onion and stirred until they softened. 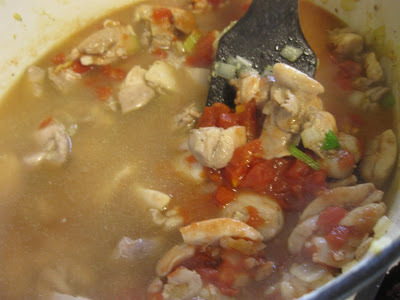 While I felt initially that this recipe had a lot of ingredients and steps, looking back, I realize it wasn't so bad! And totally and completely delicious, especially for how easy it was. So after the veggies had softened, we added the meat back in and some shredded ginger, along with the juice of one orange, a 14 oz. can of diced tomatoes, one 2" piece of orange peel, the ras el hanout, 2 cups chicken broth and 1 T. honey. It was at this point that we realized our recipes diverged dramatically (uh, one of the pitfalls of not reading a recipe all the way through before you start, I guess). The NY Times Lamb Tagine recipe had us popping the dish into a 350*F oven for an hour, and then adding in the carrots and celery and cooking some more. 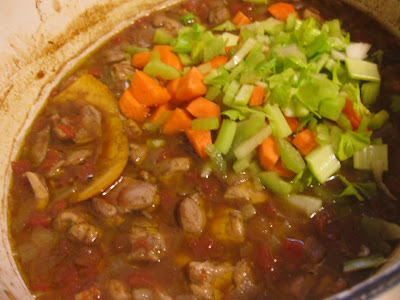 Bittman's recipe, however, could be finished on the stovetop - hence the 'weeknight' part. We figured that we would go with the oven route, since time wasn't an issue for us and that method would give us more traditional results. So we added in the carrots and celery and put the whole thing in the oven for about 45 minutes. While that was baking, we made the citrus couscous, which is like regular couscous, plus deliciousness. I added the juice of one lemon and 1 T. of lemon zest, and A. used her newly discovered orange segmenting skillz to add some diced orange to the finished product. And the end result was amazing. These really simple additions elevated this otherwise ho-hum addition (and I love couscous!) to another world- bright, moist, and a great compliment to the rich, complex tagine. I also toasted up some sesame seeds and sliced almonds with which to top the tagine. Everyone was rather surprised at how great this tagine turned out. I mean, you can't beat a one-pot meal for simplicity and ease, and these flavors really melded together in their time together in the oven (is that like 7 minutes in Heaven??). The tagine also had diced apricots and green olives in it, but most of us either didn't like the additions or didn't even notice them. The real stars were the tender chicken, the crunchy nuts, and the bright moist couscous. I also dug on the chance to break out some apple chutney that I preserved in my Master Food Preserver course last summer. And of course, the opportunity to chant Ras! el! Hanount! all night. This was the Hanoutiest recipe I've ever made! It was wonderful in every way. Except the green olives were totally unnecessary and I wish I could have tasted the apricots. And thanks for mentioning my mad skillz. I am available to segment your oranges anytime. And I'm just not sure why that sounds dirty. Thanks for an awesome dinner! Love it! I've been meaning to try a tangine for awhile now. Cheers! I really want to smell that spice. I bet it's great! It is quite a fun word to say. wow! what a fantastic creative dinner KT and roomies! splendid idea.